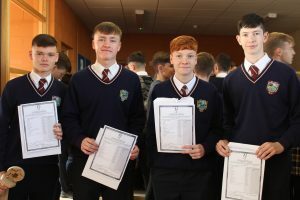 146 students from Donabate Community College completed their Junior Certificate exams in June 2018 and were very happy about their results, thanking their teachers for their help and support throughout the last three years. One student stated “Getting my results taught me a lot of things. It taught me to be more confident, to believe in myself, to be proud of myself and that when you really want something and you work hard for it, all of that hard work does pay off. 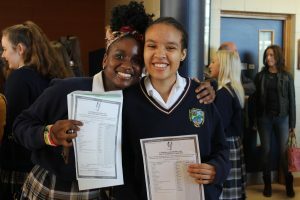 Receiving my results was an amazing feeling and it was a day that I will always remember”. 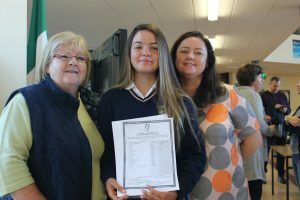 “I would also tell students that it is good practice for the Leaving Cert and will be a great guide for the future so you know what to expect going into your Leaving Cert years and examinations. I would remind students that no matter what results you get, they don’t define you and it’s not the end of the world. Knowing that you tried your best and put the work in is an achievement in itself and is a skill that will follow you for life”. All of the Junior Cert students are now in Fifth Year or Transition Year and they are very proud of their achievements. 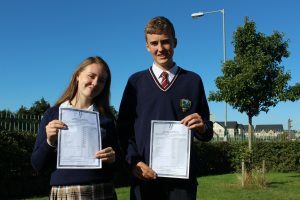 The school is very proud of all the students who really put a lot of effort into these exams.